Create the illusion of a scary candelabra with this bloody stand-up decoration that looks likea vintage candelabra. Easy to assemble. 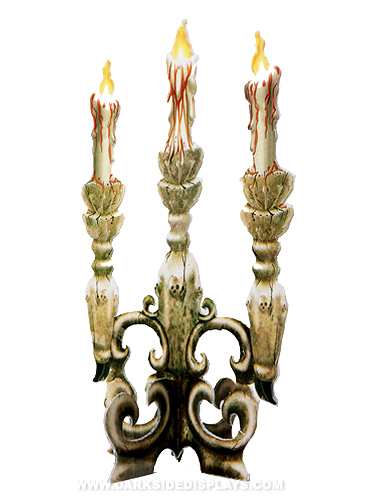 Candelabra image is printed on plastic coated corrugated cardboard. Candelabra Stand-Up Decoration measures 15"H .